Invasion and migration of glioblastoma multiforme (GBM) is a multistep process and an important phenotype that causes this disease to invade surrounding tissues in the brain. Recent studies have highlighted that miRNAs play a pivotal role in controlling GBM cell plasticity. In this report, we used wound healing and transwell assays to identify a novel role of miR-139-5p in inhibition of GBM cell migration and invasion. 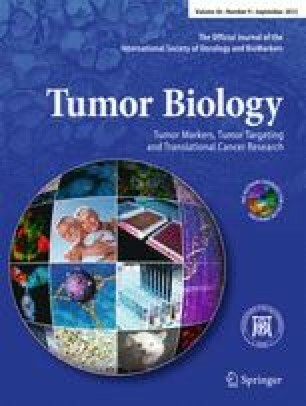 Bioinformatics coupled with luciferase and Western blot assays also revealed that miR-139-5p inhibited expression of ZEB1 and ZEB2, which are master regulators of tumor metastasis. MiR-139-5p specifically interacts with the 3′-UTR regions of ZEB1 and ZEB2, attenuating their expression in GBM cells. To corroborate this finding, we rescued ZEB1 and ZEB2 expression and found partial but significant increases in miR-139-5p-suppressed invasion of GBM cells. The biological relevance of our study was validated by analyzing levels of miR-139-5p in GBM tissue. We found that its expression significantly downregulated compared to normal tissue and shorter overall survival rates in patients with lower miR-139-5p expression. These results confirm that miR-139-5p suppresses GBM migration and invasion and highlight its potential as a biomarker and therapeutic target for treating GBM. Sihai Yue and Lihua Wang contributed equally to this work. S.Y., L.W., and Y.L. conceived and designed the experiments; S.Y., L.W., H.Z., Y.M., Y.L., H.S., Y.J., and W.Z. performed the experiments; S.Y., L.W., H.Z., Y.M., Y.L., and A.L. analyzed the data; Y.G., P.C., G.L., L.W., and Q.Z. contributed reagents/materials/analysis tools; S.Y., L.W., H.Z., and Y.L. wrote the paper.